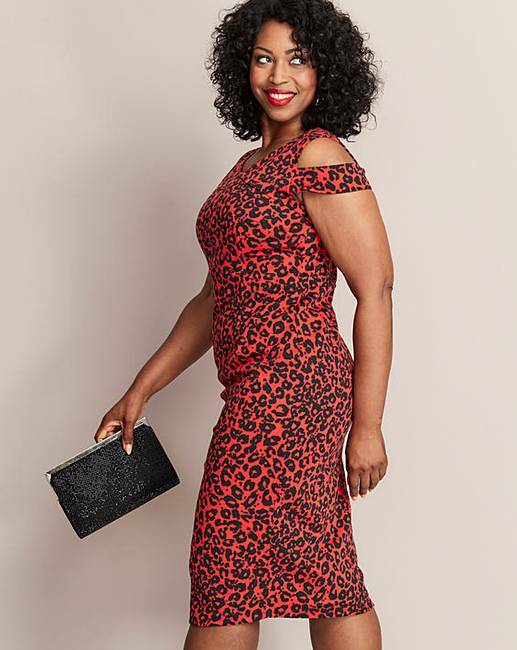 Red Leopard Print Magisculpt Dress is rated 4.3 out of 5 by 10. 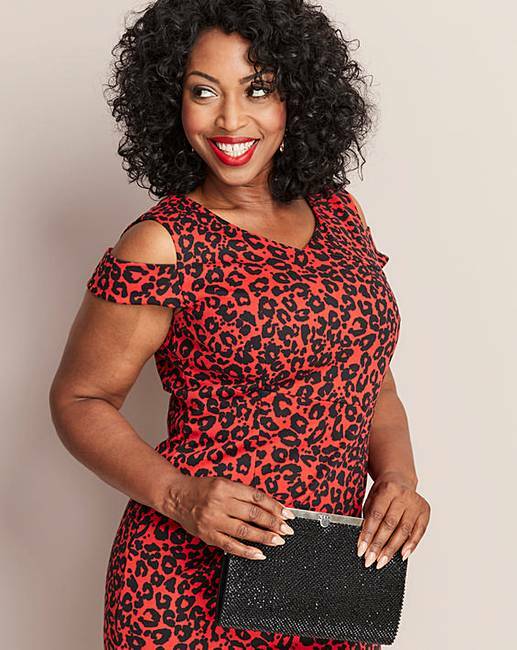 Leopard print is the key to every woman's wardrobe this summer which is why you need to grab this Animal Print Magisculpt Dress as quick as you can! 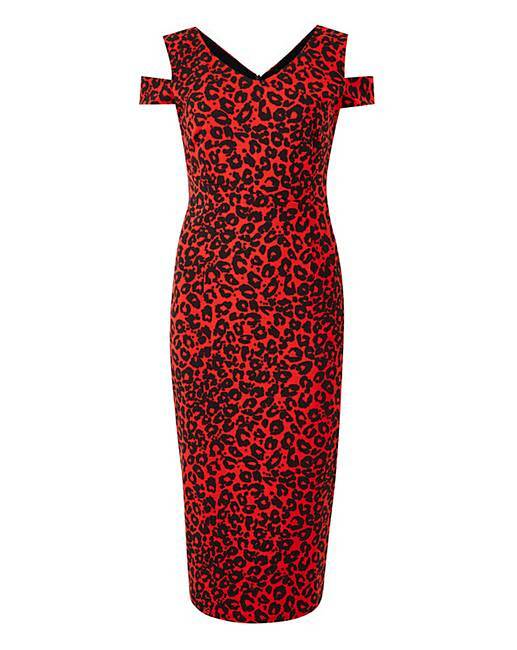 With a vibrant red toned print and flattering bodycon fit you'll be sure to turn heads this season. Pair with your favourite black heels and clutch and the party begins! Designed to hide those non-loved areas perfectly with the Magisculpt finish. 95% Polyester, 5% Elastane. Lining : 80% Polyamide, 20% Elastane. Rated 4 out of 5 by suzy from great dress I sent this back and requested a size 16 instead but I am still waiting. Rated 5 out of 5 by Ebony lady from Great style and price I brought this a couple of weeks ago, the original size was too small I returned it and received a refund quickly. I ordered the next size up, fits perfectly and I am very happy. Rated 2 out of 5 by anon from Too big This dress looked lovely. i ordered an 18 but unfortunately,felt like a size 20/ 22 .it was huge. Not sure if it had been mis labelled. Shame ..it looked lovely. But sent it back. Rated 5 out of 5 by Gil from Oh my, please buy. Felt amazing wearing this dress. Holds you in all the right places. Rated 5 out of 5 by Sarah40 from Gorgeous dress. Looks really flattering. I bought this for my 40th Birthday. Looks lovely on, really flattering.